Venice is a city of canals and unlike many other places, the public transportation systems are based on water for the most part. On land, the best way to get around is on foot or bicycle. To have a true Venetian experience you most certainly won’t want to rely solely on walking. But how can one who has never been to Venice understand the best and most practical methods of travel? 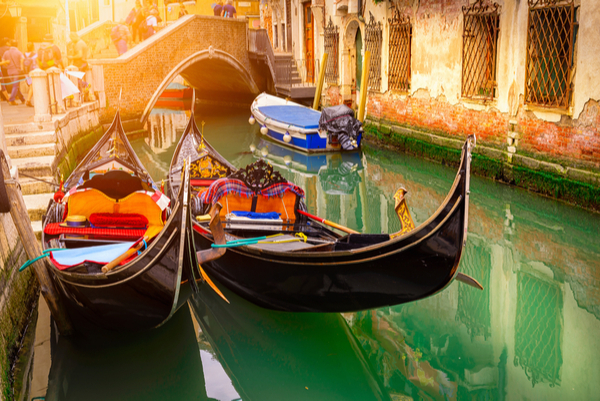 Here we discuss the different types of water transportation so that you will have everything you need to know to travel around Venice. 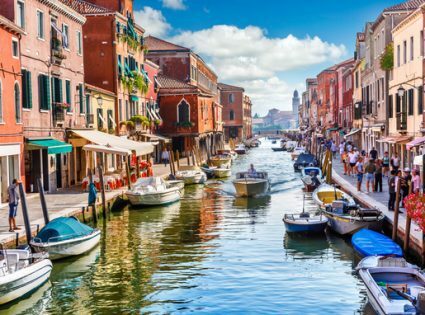 Being a visitor to Venice you will need somewhere reliable to stay if you don’t feel like hotel accommodation try looking for villas and apartments in Venice. The Vaporetto is the aquatic equivalent to a bus. It is the most commonly used and cheapest mean of transportation in the canals. 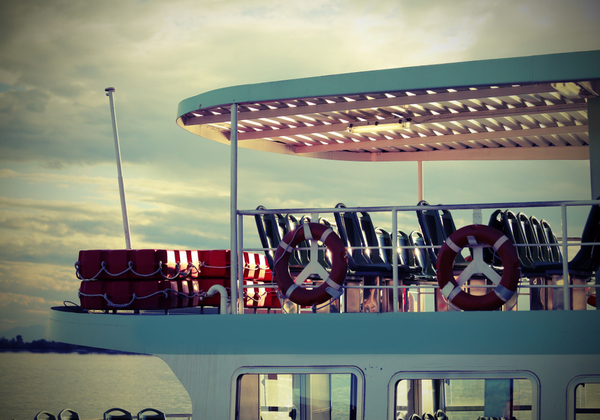 The Water Bus runs frequently and tickets can be bought at newsstands and some bars, but you can also buy them when stepping on the boat, just make sure you approach a crew member right away. The water taxi might be the most expensive taxi in the world, but it is the fastest and most convenient way to move around in the canals. If you can afford it you will also be able to see a different side of the city, as the water taxis often use back routes where the Vaporetto doesn’t pass by. Canal with two gondolas in Venice, Italy. It almost goes without mentioning that a gondola ride is one of the most romantic things you can do in Venice. Since the boat is narrow you will be able to go down tiny canals that other boats can’t access. But of course this has its price and a gondola ride is not cheap. The prices vary and it is best to agree on a price before embarking on a ride. Also be prepared to pay extra if you would like a singing gondolier. 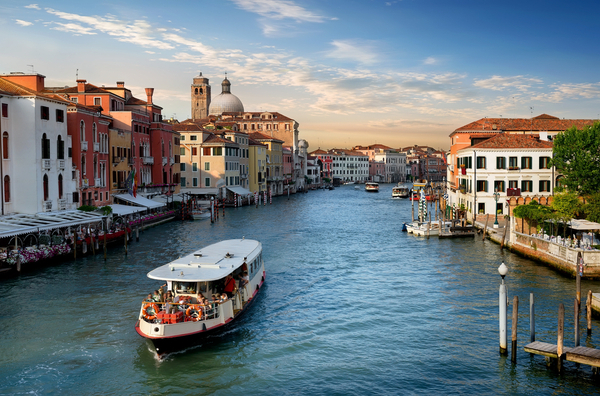 The traghetto is a gondola ferry that has several stops along the Grand Canal. Of course, it is not as romantic as a gondola ride, but it is a cheap alternative. In many of the Traghetti, it is custom to stand during the crossing.